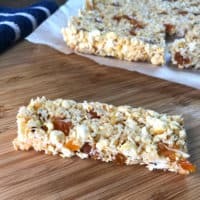 These Easy Honey Popcorn bars are delicious, simple and versatile. 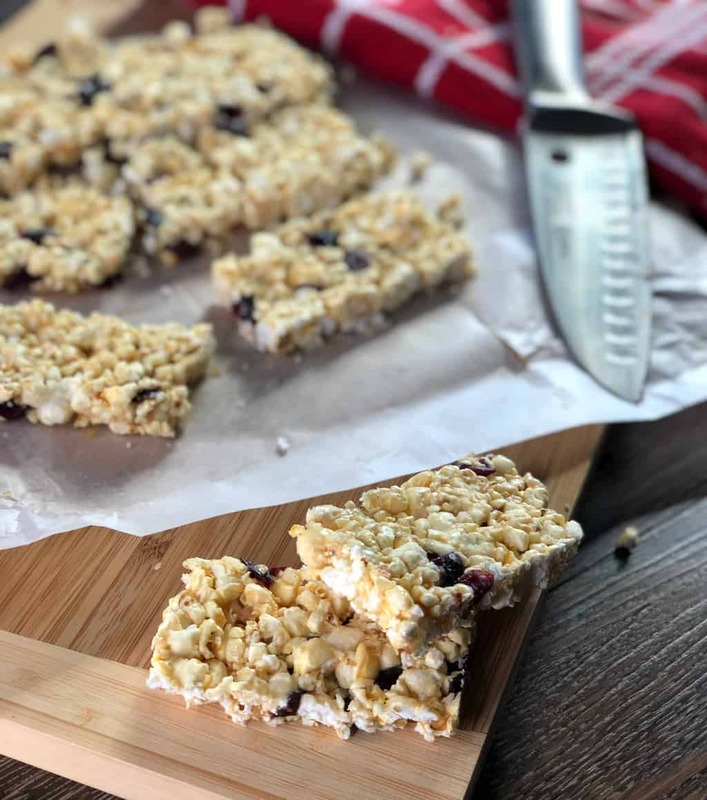 A simple, quick recipe that you can make your own to suit the tastes of the whole family! We are starting to prepare for the kids heading back to school. That means sorting uniforms, realising that they all need new shoes, finding their lunch boxes, buying stationary, checking how many holes are in there school bags and for us, this year it means 3 kids at 3 different schools! It is going to be an interesting time for sure. It can also be an overwhelming and stressful time of year and of course an expensive one, especially being so close after Christmas and the summer break. Many families struggle with the start of a new year. I try and organise as much as I can in early December, it may seem early but it means I can relax over the summer knowing I have the essentials in place such as uniform and shoes and I know what is coming if there is anything I miss. Lunch boxes can be a minefield now. 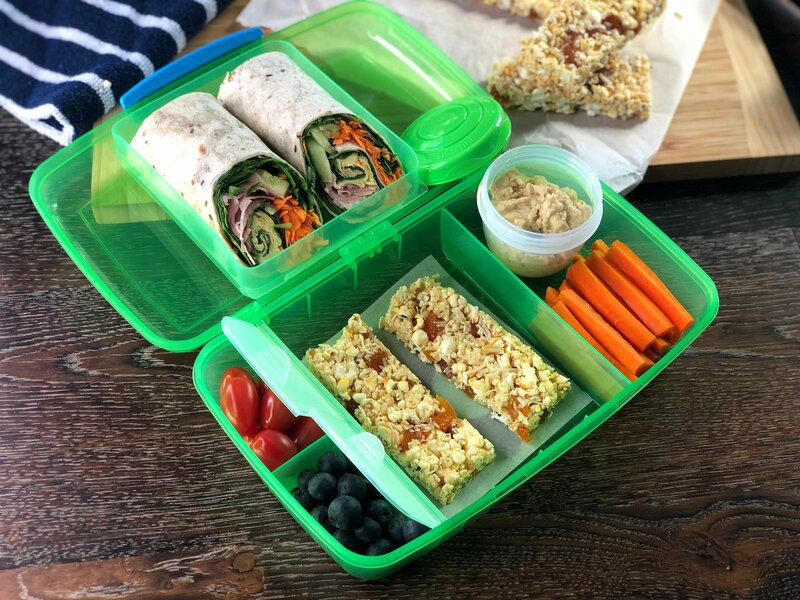 There are so many regulations and allergies to be mindful of but it is becoming the norm to now have plastic-free and nut-free lunchboxes now in many early childhood centres and schools around the country. This recipe was born from wanting to give the kids bars that they love, will eat and that meet the nut-free requirements. 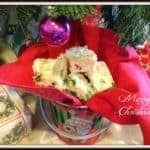 I also wanted to make popcorn bliss balls but without the rolling part! 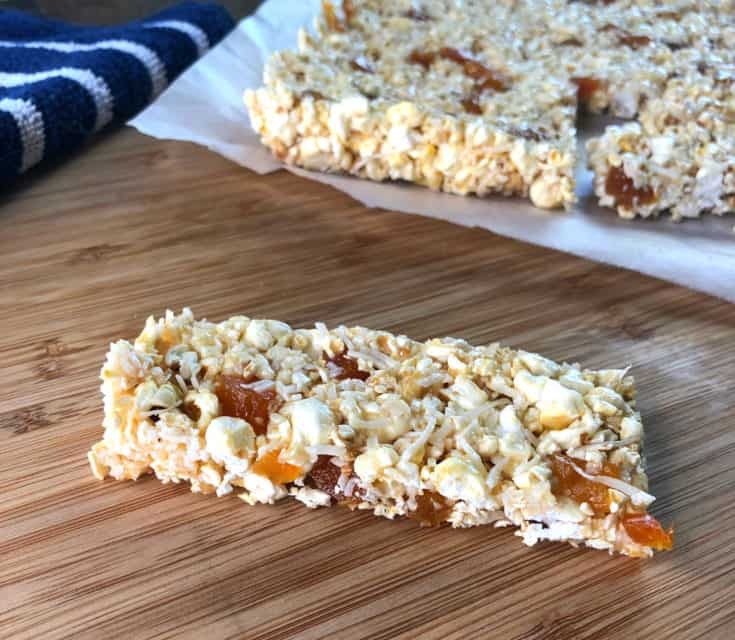 Plus these bars are super easy and I can make variations to suit even the fussiest one! Countdown have a huge range of ready prepared lunch snacks and ingredients to help make the back to school dread a little easier to manage. With so many products on price lockdown, I simply shop the specials to ensure we have a variety of things in the cupboard. 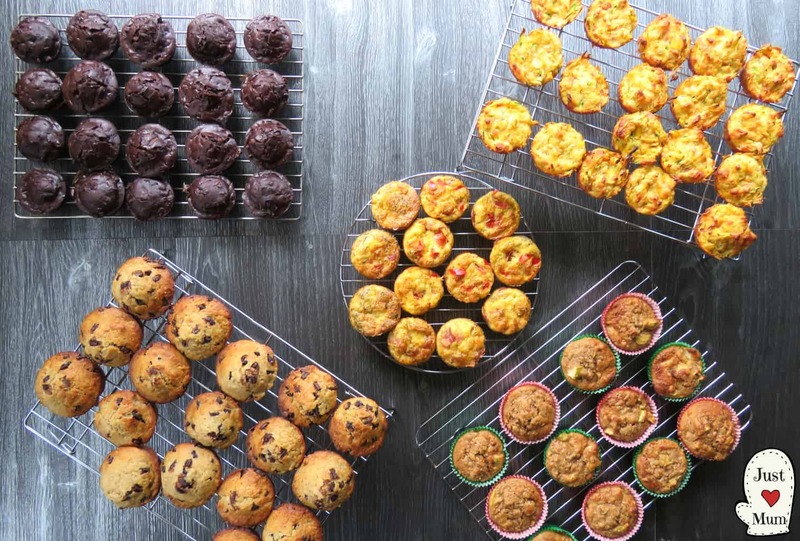 If you like to bake you will want to check out my post on 5 Freezer Friendly Lunch Box Ideas for Back to School which includes delicious savoury muffins, sweet muffins and mini quiches so you can have many options on hand each morning. 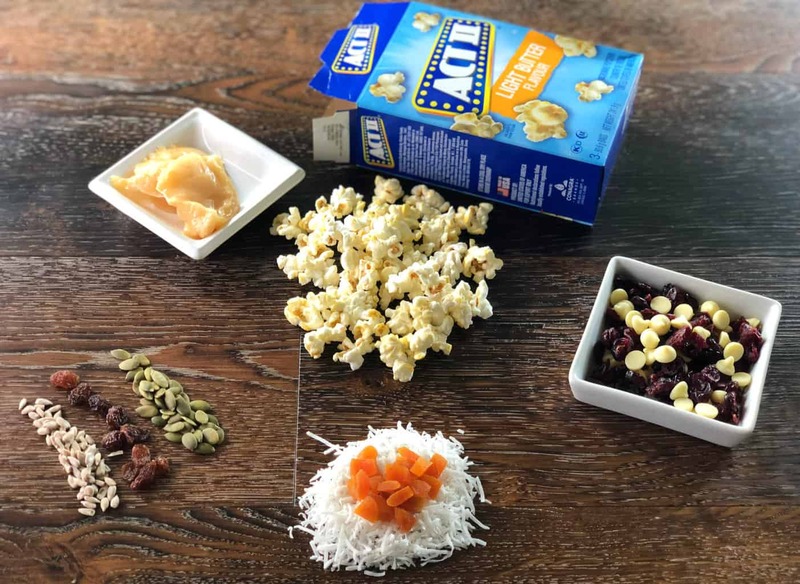 For this recipe the base is just two ingredients, Act II Microwave Popcorn and honey. Then you can add a variety of flavours to this, we have chosen three variations to share with you but I am sure you can come up with many more! We have Apricot & Coconut, Cranberry & White Chocolate and Sultana, Pumpkin and Sunflower Seeds. When cooking your Act II Microwave popcorn listen to the kernels pop, once they begin to slow stop straight away to ensure it does not burn, all microwaves are so different. Take care, the honey is very very hot, have everything prepared and use a wooden spoon to stir and spoon into the tin to avoid burning your hands. Use a sheet of baking paper to smooth down the slice, the ingredients are sticky so this helps to smooth without making a mess. Pop the leftover popcorn into an airtight container for snacks! Delicious and simple, check out my tips for easy success above. Add the optional ingredients you are using, with your hands mix and crush the popcorn to a smaller size and set aside. Add the honey to a small saucepan and warm over a medium heat until the honey is well combined and boiling. Stir well and pour into the prepared slice tin. Take an additional sheet of baking paper and carefully press the mixture into a smooth slice right to the edges. 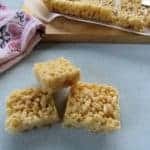 These bars can be stored in the fridge or in the freezer to last longer. 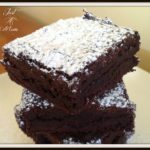 I have made these several times now, they never turn out the same, so some are softer than others, some are crumblier or harder. This is down to the ingredients I add in and also the cooking time for the honey, longer will make it harder but you do not want it too hard! 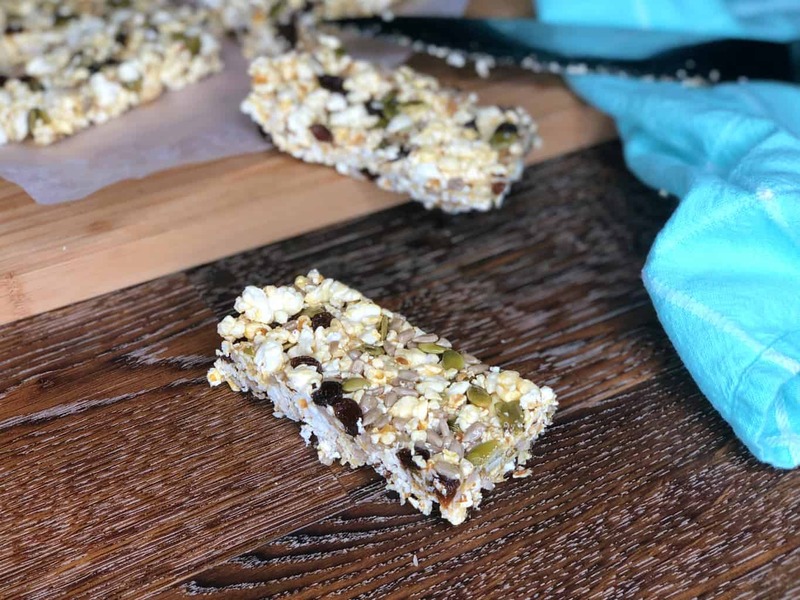 A huge thank you to Countdown for partnering with me on this recipe, all of the ingredients were either on special, Countdown’s own brands or on price lockdown so I am definitely a fan of grabbing the bargains to make back to school a little easier on the pocket. And for those asking the lunch box is also from Countdown!